Schuh’s Carpet Cleaning Services® at We Clean it Up® provides residential and commercial carpet cleaning service to customers throughout Michigan Areas, with a personal touch you will not find any place else, Schuh’s Services® We Clean It Up® is committed to making your environment not just appear to be cleaner, it's to make your environment healthier for you and the people around us to enjoy and live. We can remove over 96% of common household allergens from your carpets and furniture. We use the safest cleaning products avilibile. 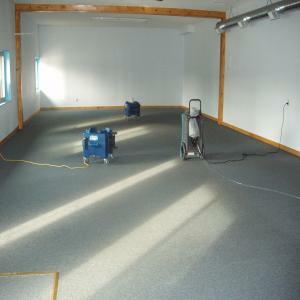 Water Damage Cleanup, Flooded Basement, Structure Drying Services. We use the most advanced equipment, with the safest chemicals available to get the job done quickly and safely. Rest assured our technicians are fully trained, certified and the cleaning agents are industrial strength which are NON-TOXIC, BIODEGRADABLE and will not affect allergy sufferers. 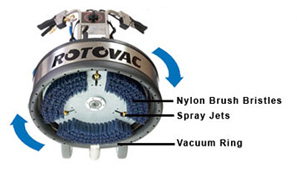 Our system is a mobile cleaning plant which is brought to your home or business with its own pre-softened water and holding tanks to haul away all waste water from the cleaning process. Carefully trained technicians will determine the correct method of cleaning, the dry cleaning system or the water-based method, depending on the type of fabric or carpeting is to be cleaned. Both methods are safe, thorough, efficient, and convenient. Scientifically formulated cleaning agents are pre -sprayed, to penetrate the fabric and dissolve the soil.The operator then extracts with a rinse cycle, using the pre-softened water that we bring with "US", to removes over 95% of all residual matter, thus preventing graying and soil redepositing. Included in this deluxe cleaning service is the application of our Fabric Protector which guards against future spills, stains, spots and soil, and will keep them from penetrating and ruining your fabric. Try our Green Cleaning Services. A New Way to Feel the Relief from Your Allergies & Asthma Symptoms sufferers. We use The Carpet and Rug Institute Seal of Approval cleaning products and equipment. We only use the best carpet cleaning products and equipment that pass the CRI testing. We incorporate your specific needs into a well-managed Team Cleaning Program. Each member of our team are certified technician for all your cleaning needs, from certification and endorsed by the leading manufactures in the carpet and upholstery industry, to training in tile refinishing and maintenance, with support of over 25 years in the business. Schuh's Services® We Clean It Up® has been cleaning carpet since 1985, the year we invested less than $2,300 into a home-based carpet cleaning company, today we operate a assortment of units from portable to truck mount units.. Today, we are still family-owned and led by the third generation, the Michigan based company is synonymous with the saying We Clean It Up for your home and business. Our professional deep cleaning services extend beyond carpet cleaning to furniture cleaning, tile and grout, hardwood, air ducts, and 24-hour emergency water restoration. With state wide coverage that includes our familiar vans deliver state-of-the-art cleaning equipment, highly-trained technicians, and 24/7 response time to your doorstep. We bring our own pre - soften water and take all our waste away. We work with the manufacture of the equipment and have it built to our specs. We train our people And we deliver exceptional service and back it up with our guaranteed. 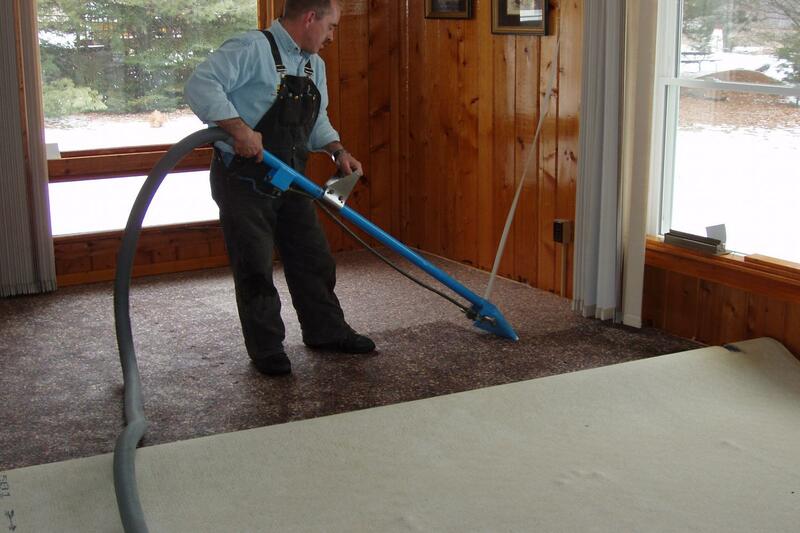 It’s no wonder Schuh's Services® We Clean It Up® is the best carpet cleaning company in Mid- Michigan. We have been in the same location since 1985. Don’t depend on a company that is here today and gone tomorrow or that claims they have several locations across the country to clean your investment. WHY YOU SHOULD CHOOSE Schuh's Services® We Clean It Up®? Schuh's Services® We Clean It Up® only use asthma and non-allergenic chemicals in most of our cleaning process. Based on over 30 years of experience, we know that a deep cleaning helps to protect your investment. We start by using a pre-spray on all heavy soiled area , treat all the spots and stains, then rinse the carpets with our pre - soften water and our high power vacuum to remove a must soil, chemicals and water from the carpets. This is way we bring our own pre -soften water. This is way we are the industry leader, we’re committed to delivering the best service possible from carpet cleaning services to your hard floor cleaning service you can find in the area. In fact, Schuh's Services® We Clean It Up® premium lineup of cleaning services out-perform the competition, because of our highly trained specialists. Schuh's Services® We Clean It Up® professional deep cleaning services, provides the care and maintenance necessary to help extend the life of your floors and furnishings. Not only do we save you money and time, but you can relax, knowing that Schuh's Services® We Clean It Up® has make your life better and you live and work in a cleaner, healthier environment. Find out what makes Schuh's Services® We Clean It Up® the industry leader in carpet and floor cleaning services since 1985. Follow the links or visit our site map page for a overview of the services and solutions Schuh's Services ®We Clean It Up® provides. At Schuh's Services® We Clean It Up®, we have been serving Michigan Cleaning needs since 1985 and aim to provide the same convenient, quality service that has made us a leader in the Cleaning and restoration industry for over thirty years.